Thailand’s resort island of Phuket is well known for its lush tropical beaches and luxury resorts that attract a large number of tourists from around the world, when its population can double from half a million to over a million during the peak tourist season. 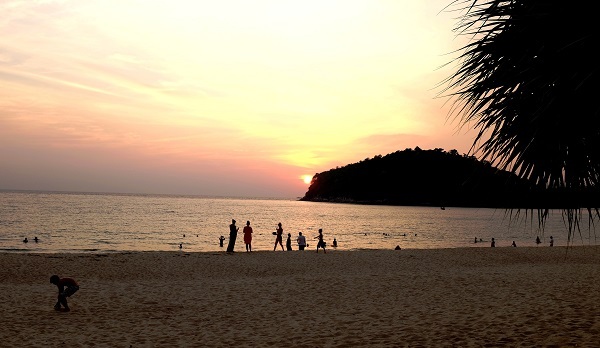 Phuket’s western beaches, thankfully, have recovered from the extensive damage they suffered during the Boxing Day tsunami of 2004, the catastrophe that also ravaged many other coastal communities around the Indian Ocean and claimed the lives of over 230,000 people in fourteen countries. But the island is today seeing a level of development like never before. Over the past few years a number of high-profile developments have been sprouting up especially in the northwestern part of the island (away from the crowded and gritty town centre around Patong) – some of them are gated communities built by big property groups that target the wealthier buyers looking for vacation or retirement homes; others, high-end luxury resorts targeting the jet-set rich and famous for their weekend getaways. 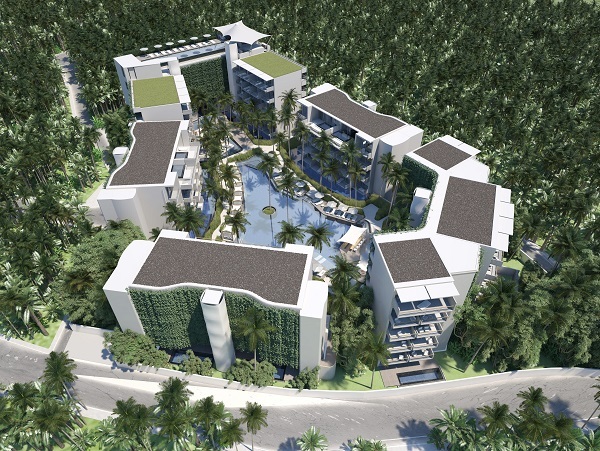 Right among them is a new development along Phuket’s Bangtao beach that’s somewhat different: Singapore-based property development Castlewood Group is building its upcoming Nikki Beach Hotel & Spa in Phuket – a partnership with beach resort brand Nikki Beach – as a potential asset class for small investors. But it’s not about the usual investing in whole units of the property – which would require vast funds – but portions of it. Castlewood Group, first established in Dubai in 2006 but later relocated its headquarters to Singapore, offers investors an opportunity to own a part of Nikki Beach Hotel & Spa in Phuket that’s due to officially open in early 2015 as the first of its five projects here in Asia. For as little as SGD$35,000, investors can purchase what the industry calls a buy-to-let hotel investment that offers fixed returns of 5% per annum, or even up to 18% per annum variable option for those less risk-averse. 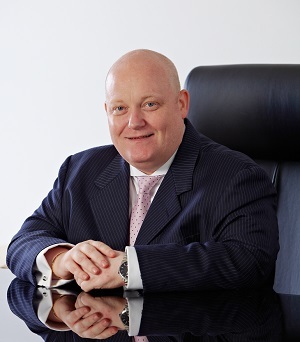 The concept of hotel room investment isn’t new – it was originally pioneered by investment and property tycoon Donald Trump; Richard Branson has also dabbled in the business model. 45-year old Castlewood Group CEO Chris Comer (pictured right) started working on adapting the model in Asia since 2008, and the company started marketing the product in 2011. When Nikki Beach confirmed in 2012 that it would partner Castlewood for the property, the product was finally set. “Then we asked ourselves what market really gives something to its clients? And that’s a five-star hotel, where the clients arrives on private jets. 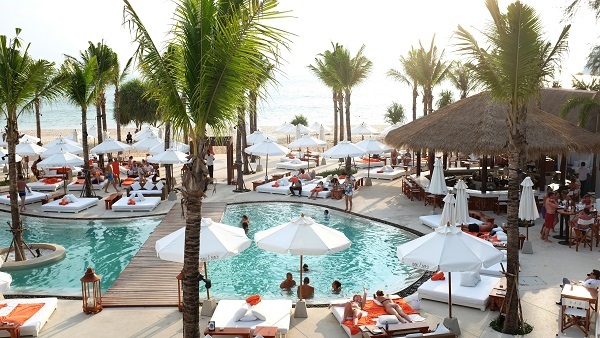 And what matters is location, and the brand.” The idea for Nikki Beach Hotel & Spa was born. Nikki Beach Hotel & Spa, built in the exclusive Laguna resort area that’s surrounded by other luxury resorts and gated communities largely populated by the wealthy, is a hotel made up of 174 keys – or units – that include luxury suites and villas. When it’s ready, the property’s facilities would include a rooftop infinity edged swimming pool, a full-service spa centre, a library, and an all-day dining restaurant, among others. “Here the location is second to none, and the brand is amazing,” Comer says. As the sun slowly sets over Bangtao Beach, partygoers at the completed beach house with its lagoon pool – around which the rest of the Nikki Beach Hotel & Spa’s facilities will be built – probably don’t know that the completed property is contracted to be sold by CBRE Thailand in 2020. And they probably wouldn’t care who owns it in the meantime. Disclosure: Young Upstarts was invited by Castlewood Group on a press junket to visit the proposed development site of Nikki Beach Hotel & Spa in Phuket.